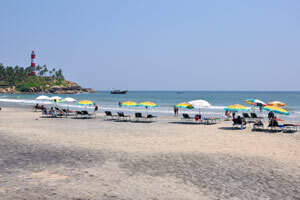 Spherical panorama 360° « Kovalam beach ». 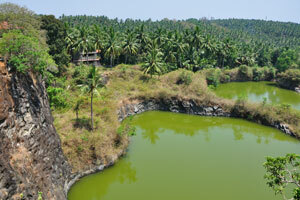 Click on this image to open up a 360° panorama. 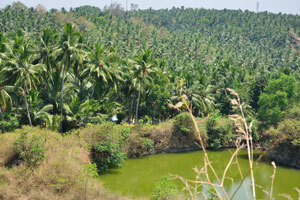 The evergreen Keralam. 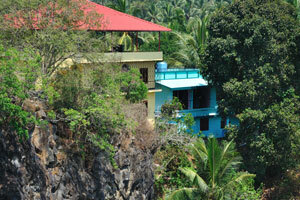 This dreamland cascades delicately down the hills to the golden coasts lined by lush green coconut groves. 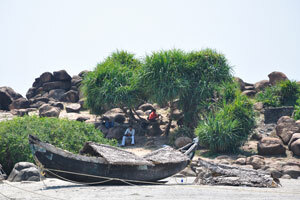 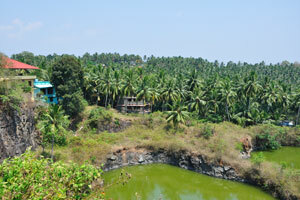 The palm-fringed paradise, Keralam, lies at the extreme south west of the Indian peninsula. 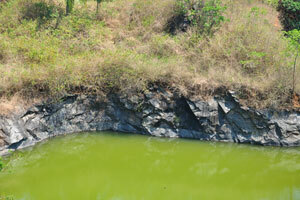 To many, it is 'a mystery inside a riddle inside an enigma'. 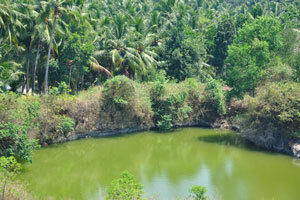 Lake on the road to the beach. 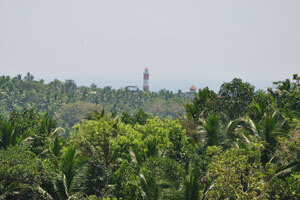 Lighthouse of the Kovalam beach on the horizon. 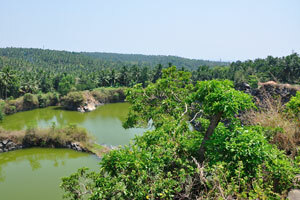 Green water of the lake. 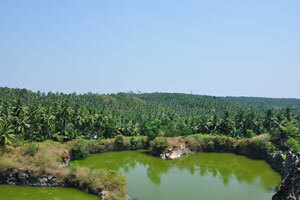 Coconut palms tightly grow around the lake. 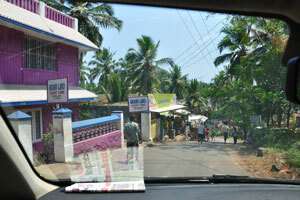 Beauty of landscape on the road to Kovalam beach. 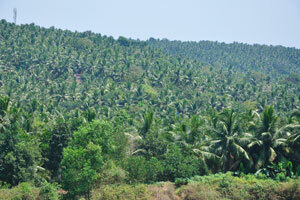 Lush greenery of the Western Ghats. 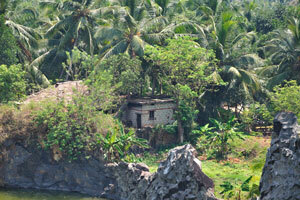 House in the middle of coconut forest. 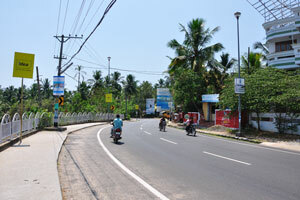 The first turn from the main road to Kovalam Beach. 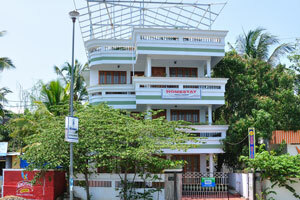 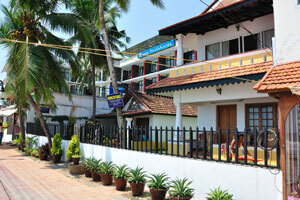 Homestay Penrallt Mansion, Beach Road, Kovalam. 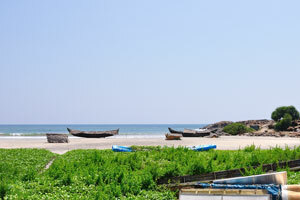 Lake view from the Beach Road. 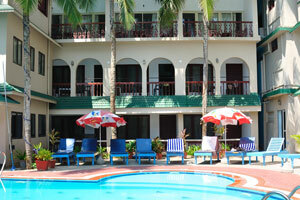 United books & arts emporium, Devi holiday inn. 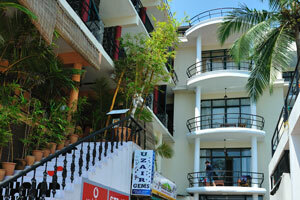 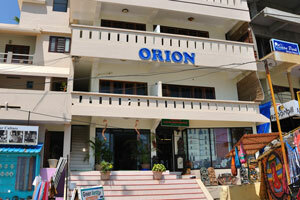 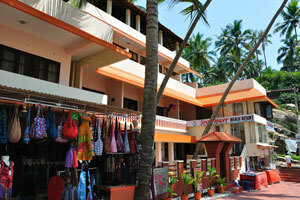 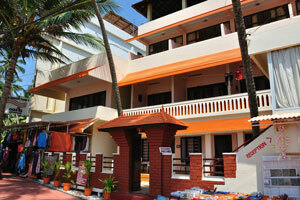 Grand Land tourist home, Kovalam. 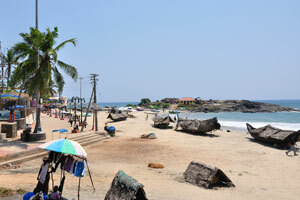 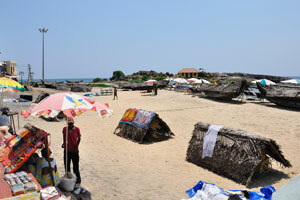 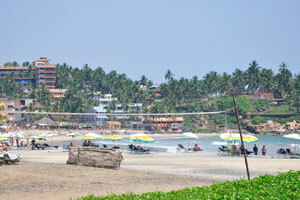 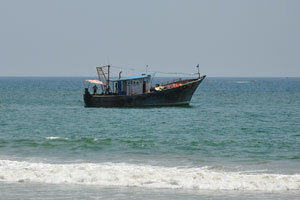 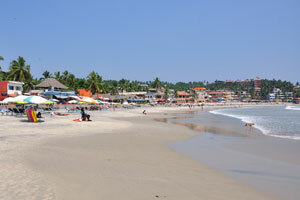 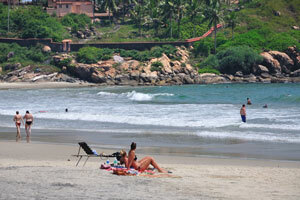 Northern part of Kovalam beach. 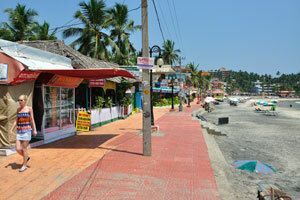 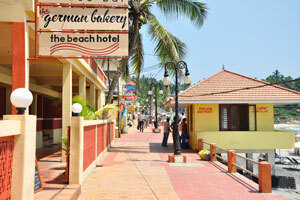 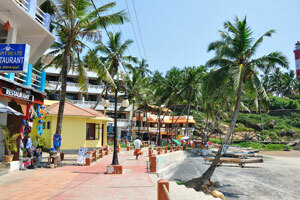 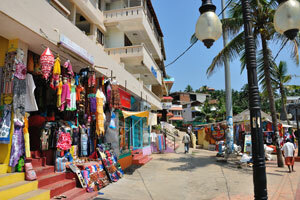 Beginning of Kovalam beach alley. 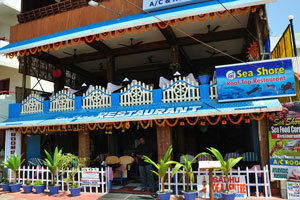 Roof top restaurant Sea Shore. 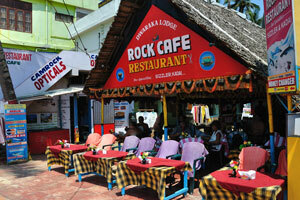 Dwaraka lodge, Rock Cafe restaurant. 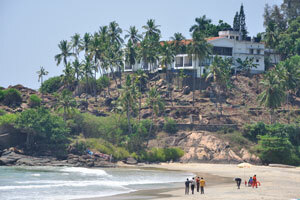 Northern part of Lighthouse beach. 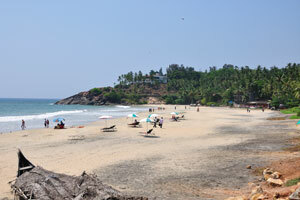 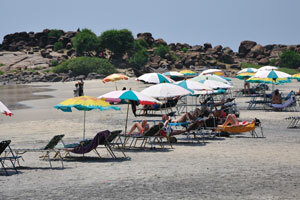 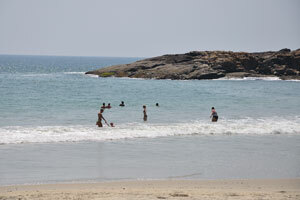 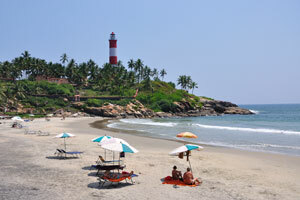 The Lighthouse Beach is the most popular part of the Kovalam Beach. 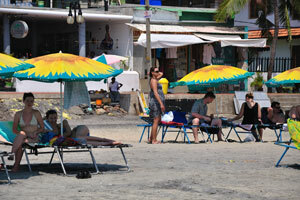 There's a lot of free space on the beach in march. 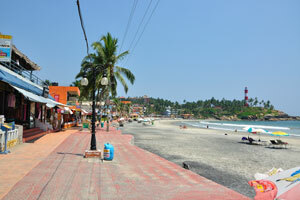 Alley near Pappukutty beach resort. 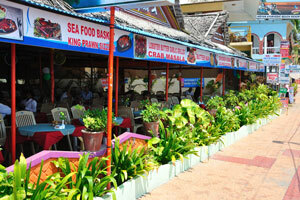 Lobster butter garlic grilled, Crab masala. 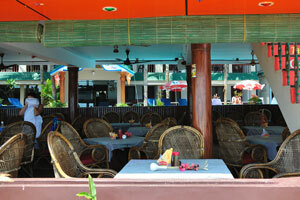 Two people sitting in cafe and talking. 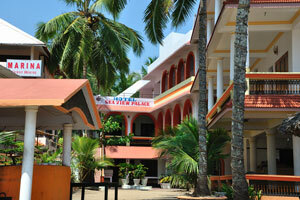 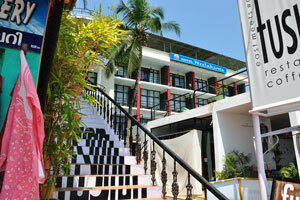 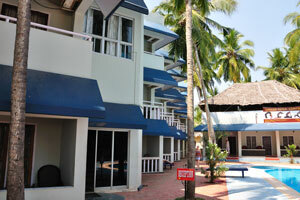 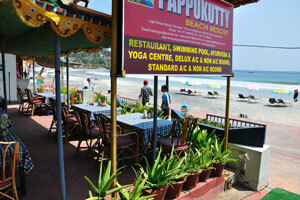 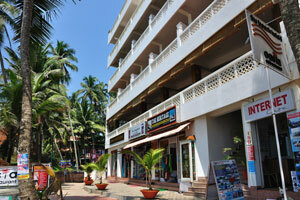 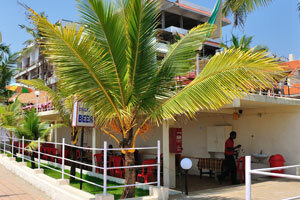 Spherical panorama 360° « Kovalam beach - Pappukutty Beach Resort ». 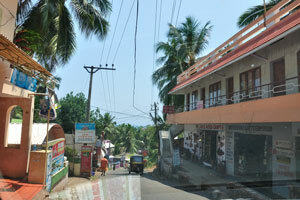 Click on this image to open up a 360° panorama. 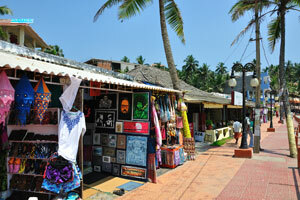 The Heritage - treasure of finest handicrafts and jewellery. 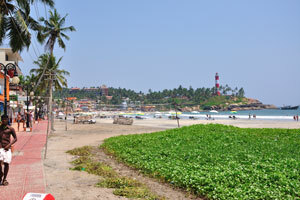 View of the Lighthouse Beach from the southern point. 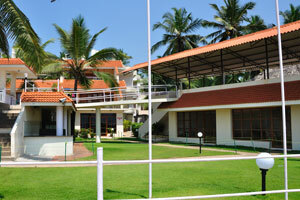 Reception of the Sea Flower Beach Resort. 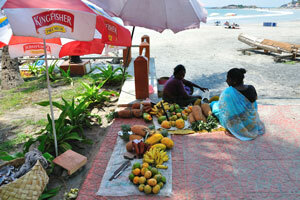 Pineapples and bananas for sale. 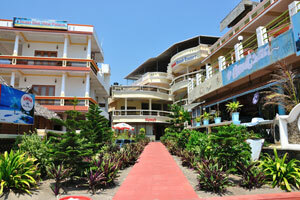 Entrance to the Orion Beach Resort. 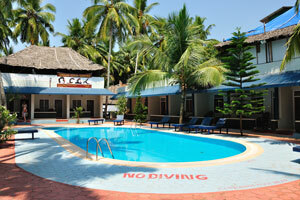 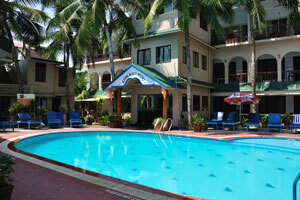 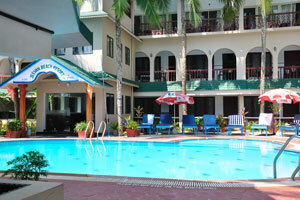 Outdoor pool of Jeevan Beach Resort. 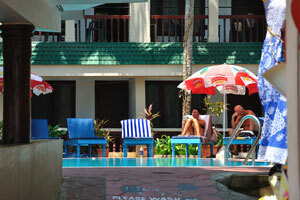 Please do not step on the white grill. 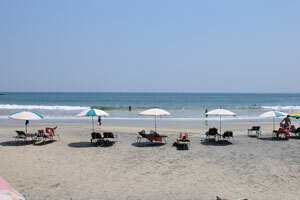 Rest on the sunny Lighthouse beach. 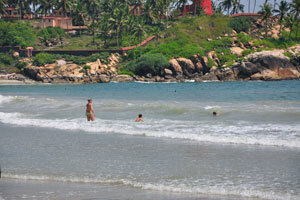 Sea of the Kovalam Beach. 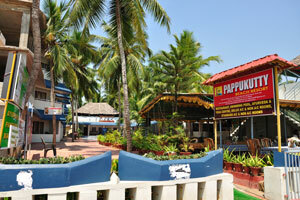 Reception of the Pappukutty Beach Resort. 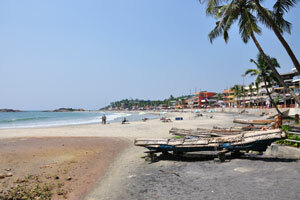 This beach is one of the best in India. 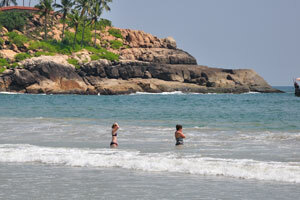 Girls are swimming in the water. 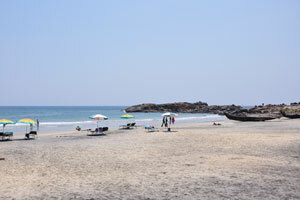 Small cape between Lighthouse and Hawa beaches. 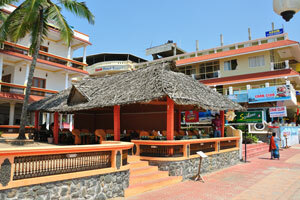 Spherical panorama 360° « Kovalam beach - Jeevan Beach Resort ». 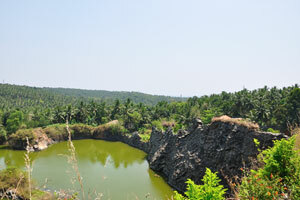 Click on this image to open up a 360° panorama.